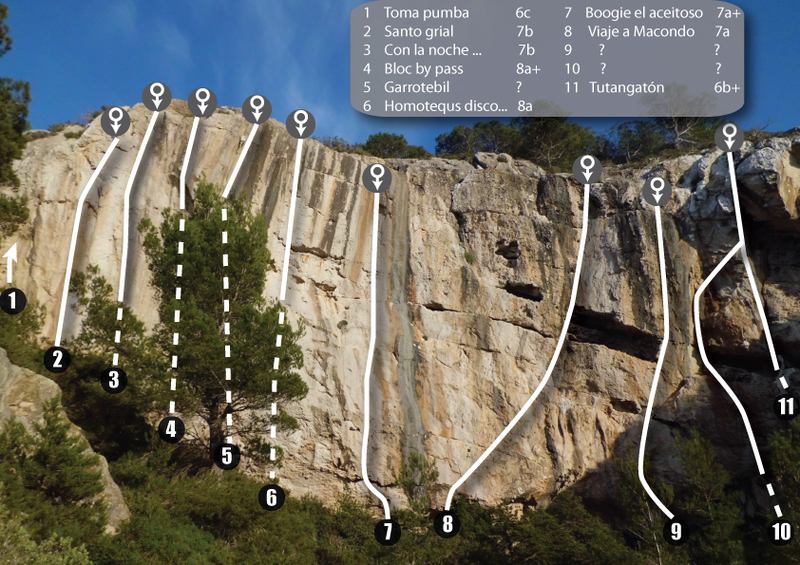 A nice wall, with some quality routes. Definitely worth the walk even if you don't have a 4x4. Not so many easy routes, but plenty to do if you are feeling strong.